The rise of René Marie embodies the triumphant spirit of song. A talented teenage bandleader in her small Virginia hometown, Marie shelved her musical aspirations for decades, returning to the stage only after her oldest son urged her to sing again at the age of forty-one. When her husband delivered an edict - leave music or leave me - she chose music, a move that gave jazz a commanding new voice. Also a composer, arranger, and theatrical performer, Marie quickly made up for lost time, recording eleven albums and drawing on a wide swath of genres to create a distinctive and captivating hybrid style. 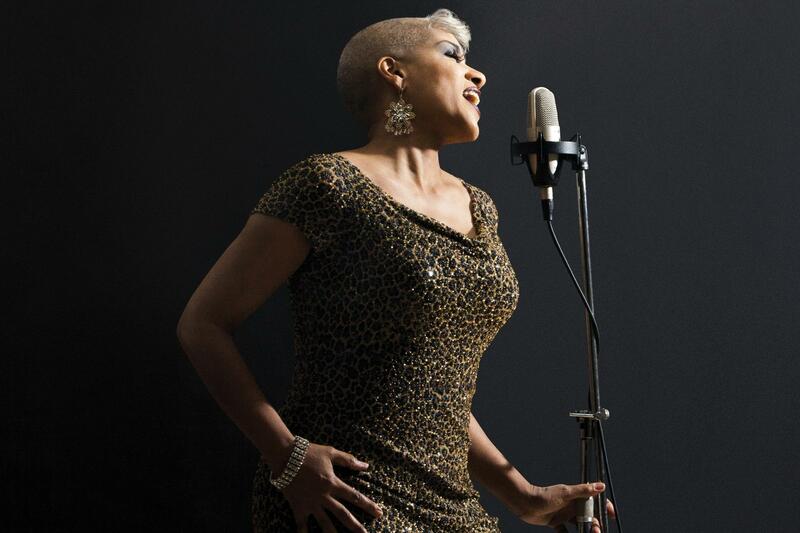 She summons the sultry allure of Eartha Kitt (to whom she paid tribute on 2013's dazzling I Wanna Be Evil) and the sophisticated verve of Sarah Vaughan, whether shouting old-time blues, singing one of her own confessional compositions, or lending her powerful voice to the world premiere of Gerald Clayton's Piedmont Blues at Duke in 2016. Unpredictable and bold, Marie sings with the delight of someone whose life was saved by music.